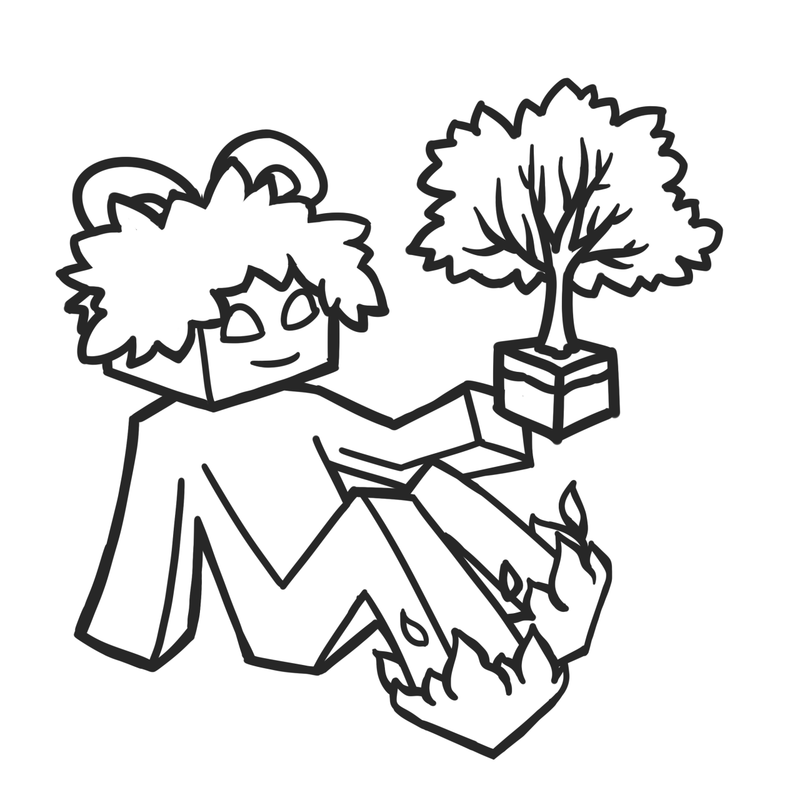 I'm currently working on coloring it, so at the moment I really only have the lineart done to show you all. Excellent! The best part is the slight curve in the right arm. And the little tree is awesome, too. 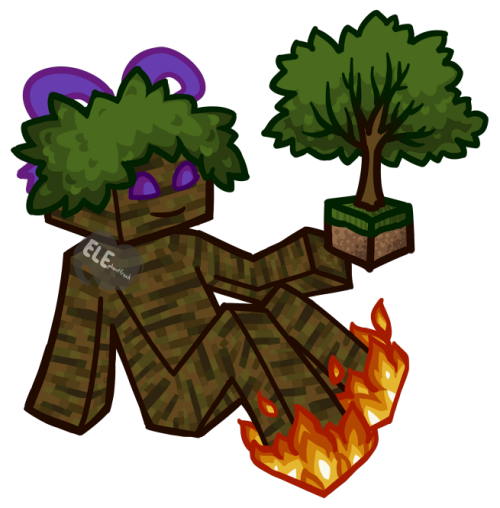 Okay, now I like your shading on the grass block the best. The flames look good, too; fire is a toughie. And it's a nice touch grading the brown stem into green for the branches. Yeah, I should probably work on something for that new skin system, but I'm lazy. It'll probably be a while before I touch on it.